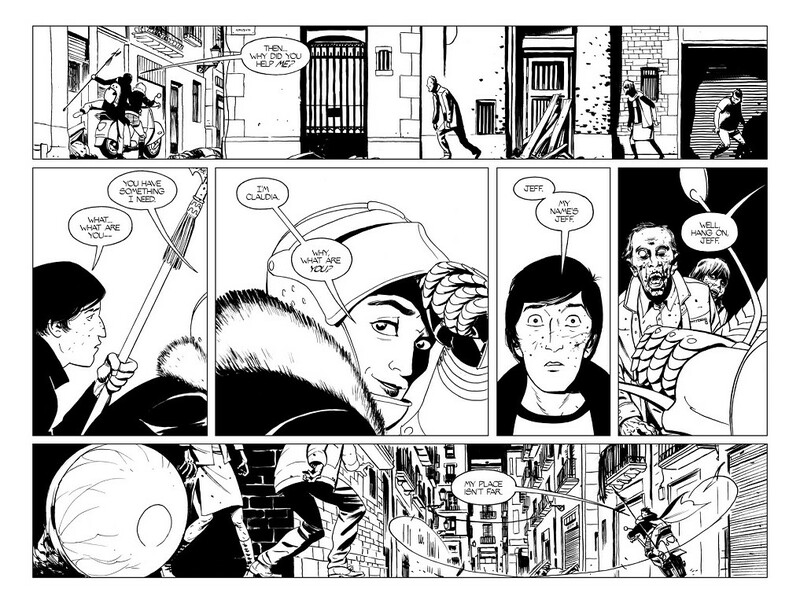 Fans of “The Walking Dead” comic series are treated to the introduction of a new character in the spin off/one shot “The Walking Dead: The Alien”. It’s been a while, but I’m happy to be back. This week, I’m going to pick up where we last left off talking about a spin off of “The Walking Dead” called “Here’s Negan“. 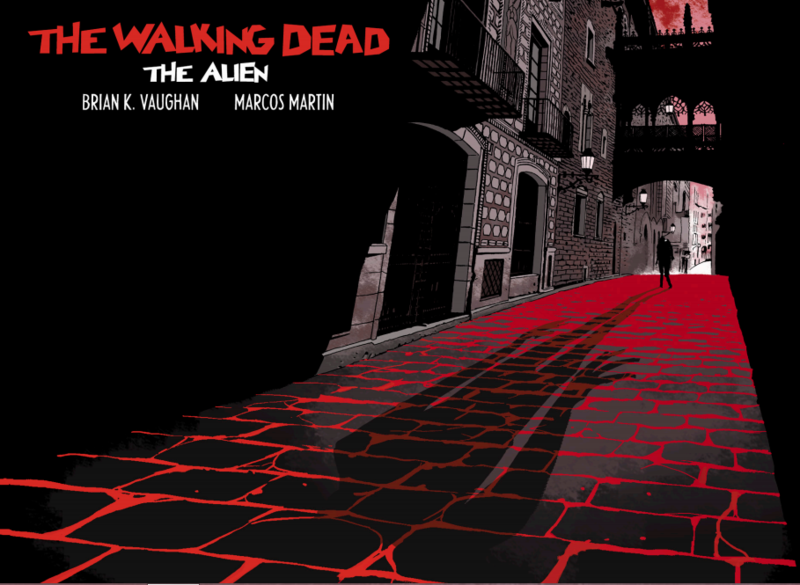 If you enjoyed that, I’ve got another great spin off/one shot for you called “The Walking Dead: The Alien”. It’s not a far fetched idea considering we’re talking about a graphic novel regarding zombies. Luckily for us however, this is not the case with “The Alien”. Instead, it’s our introduction to a character previously mentioned in the “Walking Dead” comic series. 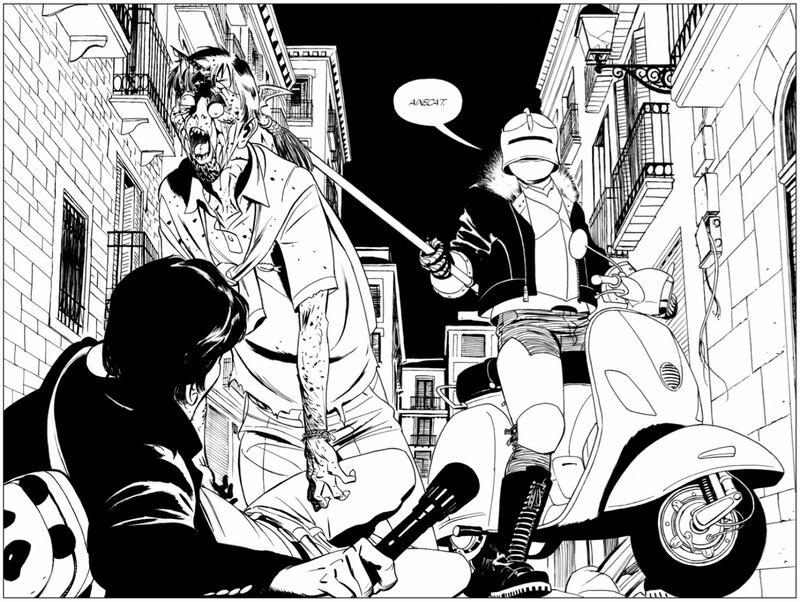 Jeff Grimes, brother of Rick Grimes, is trapped overseas in Barcelona. This 32-page one shot follows his journey of survival through the beginnings of the zombie outbreak. This was fairly interesting, as it not only added a new character to the graphic novels mythos but also the possibility of an additional character joining the main series at some point down the road. Also, as interesting facts go, this was the only “Walking Dead” book which didn’t have Robert Kirkman writing the story for it as either sole author or collaborator. 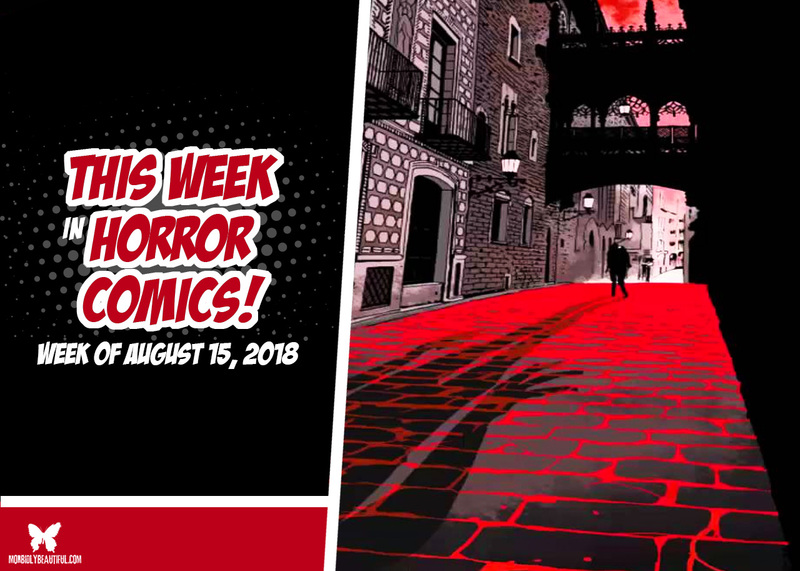 Unfortunately, there were no new releases this week. However, since I’ve been on a bit of a hiatus, here’s what you may have missed from last week. 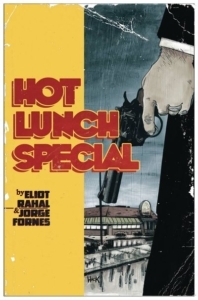 A midwestern noir series set in the harsh landscape of the northern Minnesota Iron Range-Hot Lunch Special is all about family, food and the fight for survival. The Khourys are a classic immigrant success story: A fractious and quarrelsome Lebanese family who carved their slice of the American Dream by becoming the largest distributors of vending machine sandwiches in the upper northern Midwest. Unfortunately, the Khourys gains have been ill-gotten and a branch of the Chicago Irish Mob has come back to collect a past debt. Fealty is demanded, shots are fired, and long-hidden family secrets are fully revealed. Now, Dorothy Khoury, the daughter of the family patriarch is forced to unite her splintered bloodline and fight back. Only one question is worth asking…is blood thicker than sandwiches? 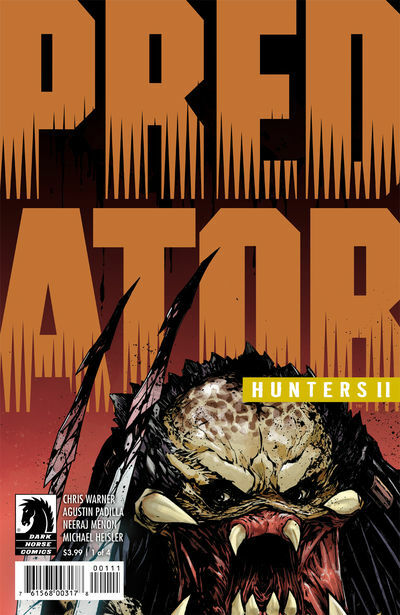 From the islands of the South Pacific to the mountains of Afghanistan, the Hunters go wherever the Predators appear — even if it’s in a war zone and into conflict with a mysterious government group hunting the same prey! 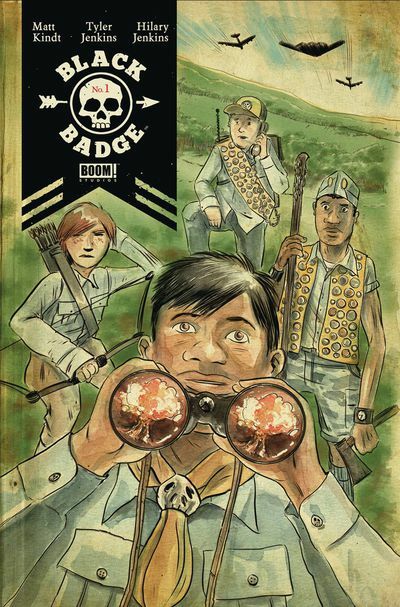 Matt Kindt and Tyler Jenkins, the team behind Grass Kings, reunite for a new ongoing series about a top-secret, elite branch of boy scouts tasked by the government to take on covert missions. Among their organization, the Black Badges are the elite; the best of the best. They are feared even by the other badges. The missions they take are dangerous, and they will only get worse as their leaders attention is split between their mission objectives and tracking down a lost team member. A team member who disappeared years ago, presumed dead. 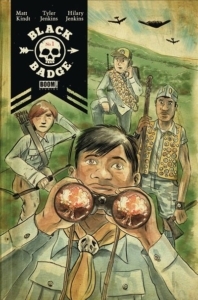 A haunting look at foreign policy, culture wars and isolationism through the lens of kids who know they must fix the worlds that adults have broken.